An email that brought tears of joy to my eyes, as I am sure it did to yours! TechWomen is an amazing journey that I was so lucky to be a part of in 2016. As I was preparing to join the program, my head was flooding with questions about what to expect, what to prepare, who will I meet, what shall I pack, what will I learn and more! To help you prepare for your upcoming participation, I would like to share advice from my personal experience that I wish I had known before I participated in #TechWomen16. Diana Nassar, 2016 fellow of Jordan, with Lisa Ramirez, her Professional Mentor. 1. Read about your host company. As you prepare to start your professional mentorship, do some research about your host company’s history, work, people and products. As part of the TechWomen mentorship, you could meet with both junior and seasoned Silicon Valley professionals. The more prepared you are, the bigger the benefit you can attain from such meetings. Think of specific things you would like to know, skills you want to learn and leadership lessons you want to explore. The experience is totally yours to shape! 2. Be ready to meet interesting people. 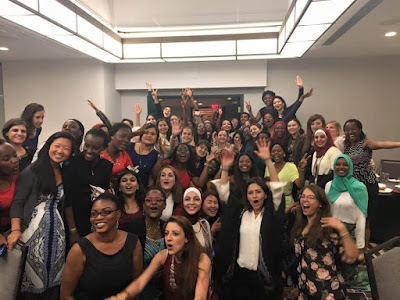 TechWomen events host a number of inspirational leaders that you do not get to meet daily – perhaps never if it weren’t for the TechWomen experience. When I participated in 2016, the Cultural Kickoff at Twitter included a presentation by Omid Kordestani, Executive Chairman at Twitter – a leader I have always admired and even read books about. You can imagine my enthusiasm when I found out he would be speaking to us that night! 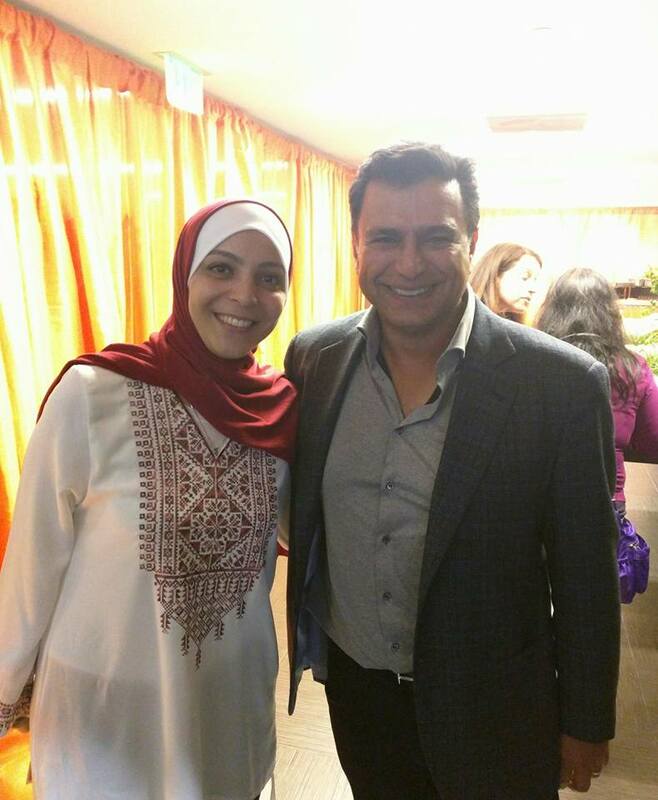 Diana with Omid Kordestani, Executive Chairman of Twitter and Google’s employee #11, during #TechWomen16 Cultural Kickoff at Twitter. 3. Meet people from before the bubble. Amidst all the glow, it is so easy to forget that it wasn’t always glamorous and geeky in Silicon Valley. The TechWomen experience is all about inspirational and enlightening discussions with individuals of diverse backgrounds. It is enriching to discuss the transformation of Silicon Valley and to listen to people sharing stories about their lives before the ‘bubble.’ They may tell you about how Silicon Valley became the world’s tech center, the dramatic increase in housing prices, the city’s struggle with supporting its homeless population, the changes in people’s lifestyle and more. They may even share career development stories that are quite astonishing. I once met with a Senior Director of Marketing at Juniper Networks who told me how he started off selling and marketing computers with a 10MB hard drive! 4. Be ready to speak on panels. Diana speaks during the #TechWomen16 Community Celebration. Each one of us Emerging Leaders has a story to share. It is our duty to narrate how we are different and what makes us stand out. It can be intimidating, but it is such a wonderful feeling to take part in one of the panels arranged by TechWomen, your host company or the Bay Area community. People are interested in hearing about how you made it there, what sets you apart and about your life back home. As much as people are interested in helping you, they are equally interested in knowing what they can learn from you. You will be surprised to know how much you can offer, and how much people want to listen to you. Be ready to tell the story of your own journey! 5. It’s OK if you don’t have a startup, for real! I was personally stressed before I arrived in Silicon Valley because I don’t have a startup or even an idea for one. I used to think to myself, “it’s Silicon Valley, everyone has AT LEAST one startup here!”. But really, it is totally ok if you are not a part of the startup environment. It is the entrepreneurial spirit and our aptitude for innovation and creativity that matters, not the number of startups that we have on our resume. There is a lot for you to learn in this journey even if you have never worked in a startup or dreamed about founding one. 6. Company logos, LOTS of them! One thing I personally enjoyed about TechWomen is the chance to visit different tech companies across the Bay Area. To save a memory of these visits, I made it a habit to pose for a picture with the logo of each company I visited. Towards the end of the program, I ended up with a beautiful collage that has logos of some of tech’s most interesting companies in it. I encourage you to do the same. 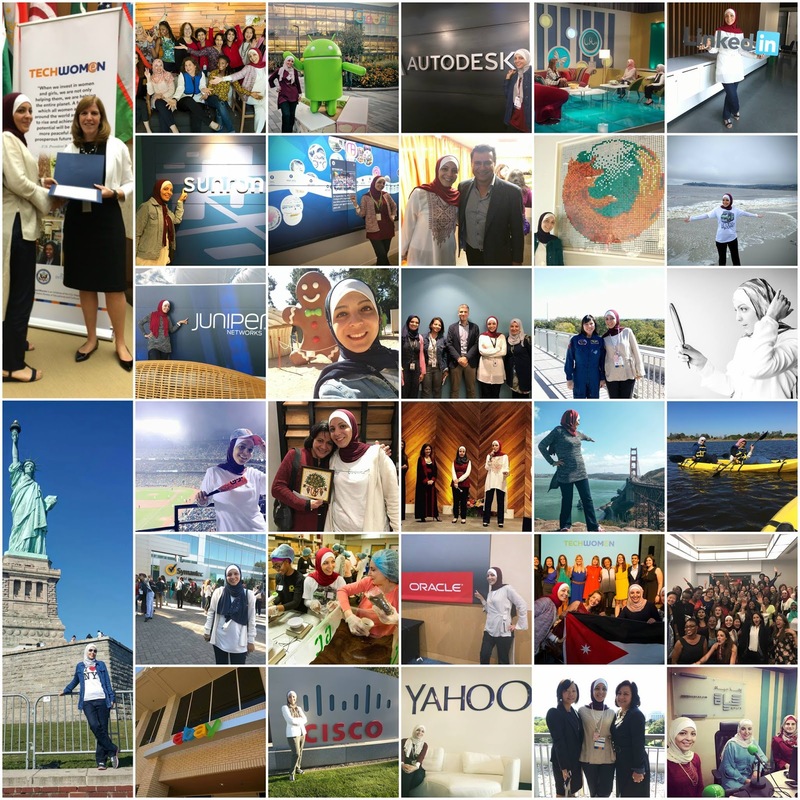 Diana’s #TechWomen16 journey in one picture. TechWomen is a once-in-a-lifetime experience. Try your best to make the most out of it, and think of ways to engage with your community and to share your journey with others. To share my learnings and excitement, I vlogged and live streamed events from my #TechWomen16 days with the online community. I uploaded all of these videos on my YouTube channel to keep the memories alive. As one of 100 women selected for this experience, I hope you likewise feel inspired to share such unique experiences with your community back home. 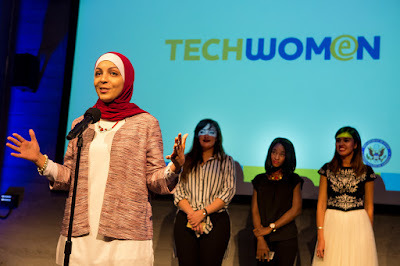 TechWomen taught me to never underestimate myself or anyone else. Everyone has something to offer, irrespective of where they come from, their age, gender, religion or background. Everyone adds value. Be authentic, true to yourself, stick to your values and show the passion that you have. Let that spark in your eyes do the rest. 9. Be ready to make lifelong connections! TechWomen mentors, Emerging Leaders and the amazing TechWomen team are the true asset of this program. They make all the difference. I was fortunate to have been matched with an amazing mentor who’s been always ready to help, guide and discuss any and everything I had in mind. The TechWomen community has vast experience and is always happy to support you in every capacity. Be sure to connect with as many individuals as you can, and remember that it is a connection you will keep for years to come. 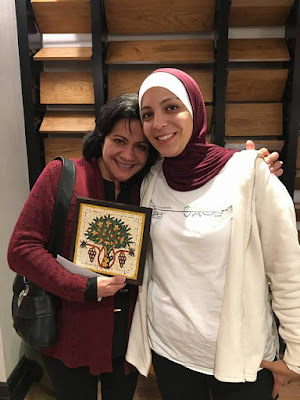 Once a TechWomen fellow, always a TechWomen fellow! Group photo on the final day of #TechWomen16. I wish you a pleasant #TechWomen journey, and I look forward to learning about your own experiences!